nVpn has some great features available but it’s up to you to decide if the pros outweigh the cons. Read our review and consider these points before you make a purchase! Their logo is an encrypted shield clad in gold metal chains with a lock on it. It’s clear nVpn wants to convey a feeling of security for its users. But a good VPN should offer more than just security. For it to get a recommendation from us, it needs to pass our thorough 17-step review process. The outdated look of the website didn’t set us off to a good start but we continued to investigate so you don’t have to. Is nVpn good enough to deserve your money? Let’s find out. nVpn offers both monthly and yearly plans. Monthly plans start at $6/month and you can reduce that to $5/month by going for an annual subscription for $60. Dedicated IPs come with an updated plan for a couple of extra bucks. 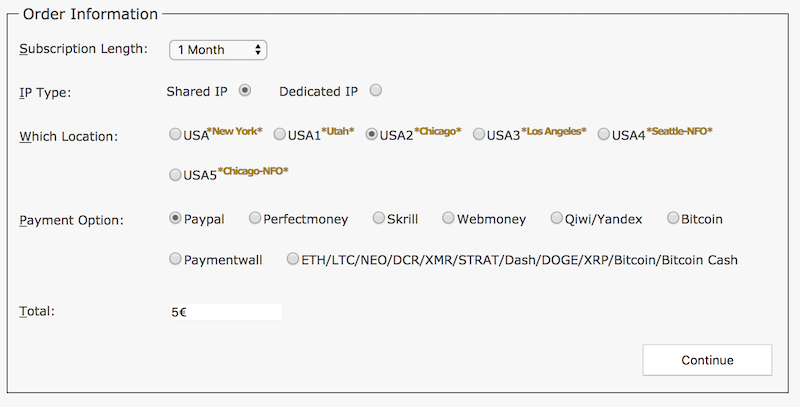 If you get the standard Monthly Shared IP plan, it means that you’re sharing a particular server with other users. In the event that another user you’re sharing the same IP address with gets banned from a website, you too get banned since their IP address is also your IP address. Clearly, this can be quite a hassle. The two extra dollars lets you avoid the aforementioned event. Dedicated IP lets users access a private server instead of a shared one. There’ll be no shortage of options when you go pay for nVpn. These include Paypal, Perfectmoney, Skrill, Webmoney, Paysafecard, Paymentwall, Qiwi, Yandex, plus a myriad of cryptocurrencies like BTC, DCR, NEO, LTC, ETH, and more. It’s great to see the variety, especially for Bitcoin. It gives users more anonymity. If you plan on using PayPal, keep in mind that your order will be processed after 2 business days. nVpn does this to prevent fraudulent activities. Your next nVpn transaction through PayPal won’t have to go through this waiting process as it only applies to first time PayPal users. Users are provided with connections that support OpenVPN and may choose L2TP/IPSec protocols, and the SQUID and SOCKS5 proxies. By default, nVpn uses the military-grade security that 256-Bit AES-CBC provides on their servers to make sure their user connections are safely encrypted. You get the best protocols in the market, as well as the liberty to pick whichever protocol you want to use. nVpn does collect logs of connected IPs when placing an order or accessing the member’s area. The VPN also does not log the duration of sessions or the number of connected devices. Website visits and any activities on the internet along with the amount of traffic consumed are safe from being logged. Users could have a safe time torrenting whatever they want with nVpn (if they actually manage to connect to the VPN). While we don’t know if they have P2P-specific servers, their FAQ suggests that users can use their protocols for uTorrent. However, as we couldn’t connect to their servers for speed tests, we can’t say for sure if their speeds would be up to the task. If this is a point of concern for you, we think these VPNs are the best for torrenting. nVpn provides a Windows dedicated client. You can also configure the service on Mac, Android, Linux, iOS, Kodi, and certain routers. Setup guides and tutorials can be found on their knowledge base. They also provide video tutorials on their YouTube channel. Not having a dedicated client for the other platforms is a bummer and it can be a pain to install nVpn on your other devices. However, it’s possible if you want to do it and the instructions are all there. Another plus is that nVpn does not keep track of how many devices you are connecting to their service. Users are free to connect any number of devices they want to the VPN. We were a bit surprised to see that their knowledge base is quite comprehensive and relatively well-organized. These guides go into good detail about how to use nVpn’s service. nVpn has 67 servers in over 39 locations. They have servers in America, Asia, Africa, Europe, and Oceania. It sounds like a lot of locations and it is. The number of servers isn’t that impressive since the leading VPN providers in the industry like ExpressVPN easily have thousands of servers in their repertoire. VPNs with a long list of servers is always convenient for users because they can switch between IP addresses just in case a certain server is down. Unfortunately, that is not the case with nVpn at all. Upon purchase, nVpn will let you choose a VPN server. After that, you can switch servers once free of charge, but you’ll have to pay for any other additional switches. It’s pretty horrible to ask users to pay every time they make a switch. You don’t want to go with a service that has a bad server that makes you want to change, then find out you have to pay to switch out of their own low-quality servers! nVpn’s single server policy can be such a bummer but the most unfortunate thing about using this nVpn is its outdatedness. We couldn’t connect to the VPN at all during our test. 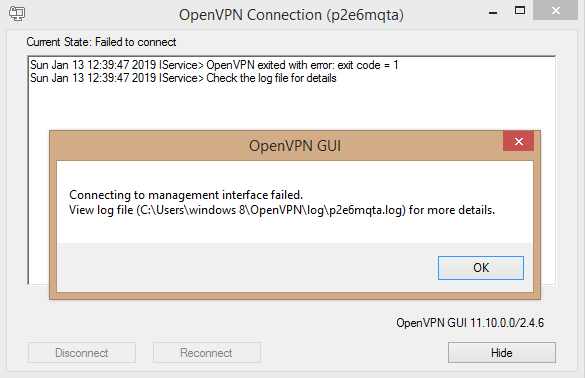 OpenVPN wasn’t able to connect even after long periods of trying to uninstall and install the VPN again. This message box just kept popping up. Looks like whoever’s behind this couldn’t be bothered to fix this bug or update the product. Since we weren’t able to connect, we weren’t able to run the Netflix test. We seriously doubt this kind of outdated service would be able to bypass Netflix’s proxy blocker. If streaming is what you want, these VPNs are the best for Netflix. nVpn offers a three-day money-back guarantee. As always, there’s a but. Refunds are only issued to users who have experienced servers that are down or if they’re really technically unable to connect to the VPN (like us). Payments made with Paysafecards are not eligible for refunds. This is one of the most strict refund policies since there are many VPN providers that have a much more generous policy with no strings attached. 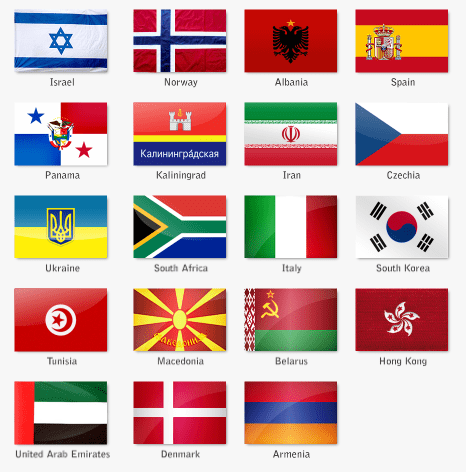 The first thing you’ll have to do to sign up with nVpn is to choose your country. 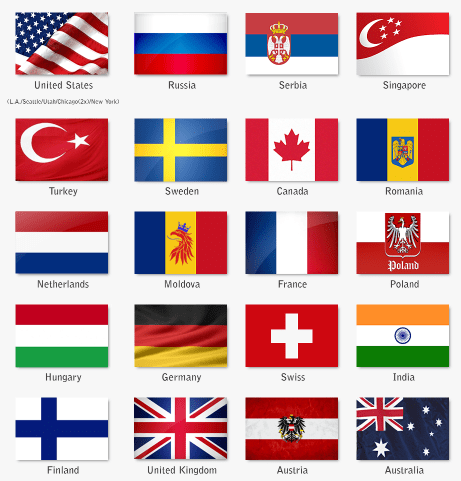 With the exception of the U.S., you’ll only get one server option for the other countries. They do this because they lock you into a single server and make you pay to switch more than once. After your purchase, you will receive an email to set up the VPN on your device. The email contains your login credentials for the client area, instructions on how to install the VPN along with download links to OpenVPN and the config file for your assigned IP address. nVpn’s software has 8 tabs for your VPN, Server Switch, Settings, Port Forwarding, IP/DNS protection, Billing Area, Refer a Friend, and Version Info. Giving these features, dedicated tabs makes it easier for users to easily find what they’re looking for. Overall though, it’s pretty basic and the design isn’t modern, to say the least. You can tell from the website which also looks bland and unexciting. As we said before, it looks way outdated especially for a VPN that you have to pay for. nVpn claims to offer 24/7 support. They offer ticketing systems and an FAQ on their website. We submitted a ticket regarding a billing inquiry and got a reply 3 hours later. It wasn’t a super quick exchange, but their answer was enlightening. They also have social media accounts like Facebook and Twitter. However, we wouldn’t expect this to be a good method of getting any support. You can see that their Twitter page clearly doesn’t engage with customers. nVpn also has a Youtube channel with over 12 setup and tutorial videos. IP and DNS Leak Test: Who knows? We kept getting the error message “connecting to management interface failed” when we tried to connect to the VPN. We’ll update this section if and when we can get it to actually connect. nVpn does not have a kill switch. But they offer a Server Emergency function just in case a server downtime occurs which, according to them, rarely happens. Users affected by the downtime will receive a free server switch to another country of their choice if their original service experiences a downtime duration of more than 30-40 minutes. This is guaranteed by the VPN. That’s great, but it doesn’t make up for the lack of a kill switch. There’s not a lot of information about nVpn on the web. According to their Facebook page, they’ve been in business since 2010.
nVpn seems to be registered and operated in Bosnia and Herzegovina. This Balkan country is outside the jurisdiction of the 14 Eyes Alliance. Users don’t have to worry about mass surveillance organizations collecting their data through this VPN. nVpn has been in business for nearly 10 years. It’s a secure provider of protection from cyber attacks. With their dedicated servers, it really shows that they know what their users might want and cater to that. Some users might think of this as the VPN’s selling point. However, there are more cons than pros in our mind right now. The first one obviously is not being able to connect to the VPN. 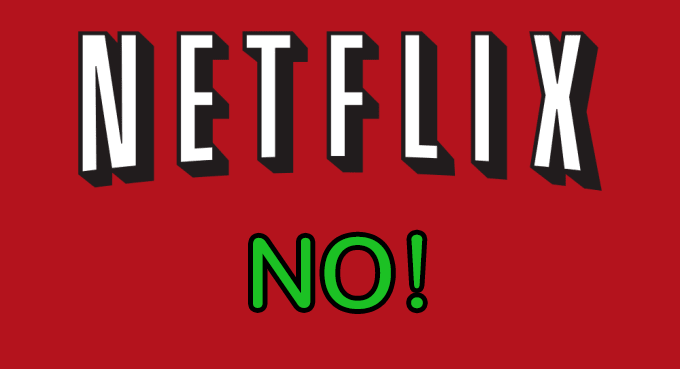 Having to pay to switch servers is really a letdown, too. All factors considered, we wouldn’t recommend this VPN. You can find options that are cheaper and come with better features from our top 10 list anytime.